Will Heads Turn Toward You for the Wrong Reason? You must have experienced this. You’re walking down the aisle of a department store and someone passes you going in the opposite direction. She seems vaguely familiar. Then it hits you. That was your client but you hardly recognized her without makeup and in ratty old jeans. She made the classic mistake of thinking it’s OK to disregard her personal brand while she’s not on official duty. Just because it’s a Saturday, it isn’t a good idea to dilute your personal brand by stepping out of character. Your client was lucky – it could have been the CEO of her company who stopped her to say hello. Aren’t you glad that it wasn’t you without makeup and in torn jeans encountering your client? Your appearance is what forms first impressions. Grammy-award winning singer Brandy, who was starring as Roxy in “Chicago” on Broadway, wanted to see if anyone would recognize her singing in a New York City subway. No one did. This video went viral and once again proves the point that you don’t get a second chance to make a first impression. Her hair is professionally styled, she’s wearing makeup and a seductive black dress. This is the “hot” Roxy that is drawing in customers. This is her “brand” while she’s starring in the show. 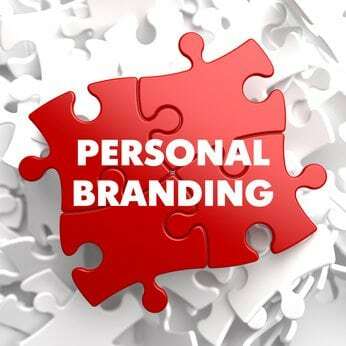 Your personal brand represents the essential you 24/7. You never know whom you’re going to meet during working hours or shopping on your time off. It’s tempting to throw on some old jeans or don’t bother shaving if you’re only zipping around doing errands. You want heads to turn toward you because people see someone they recognize who’s dressed appropriately and projecting the image of a professional.